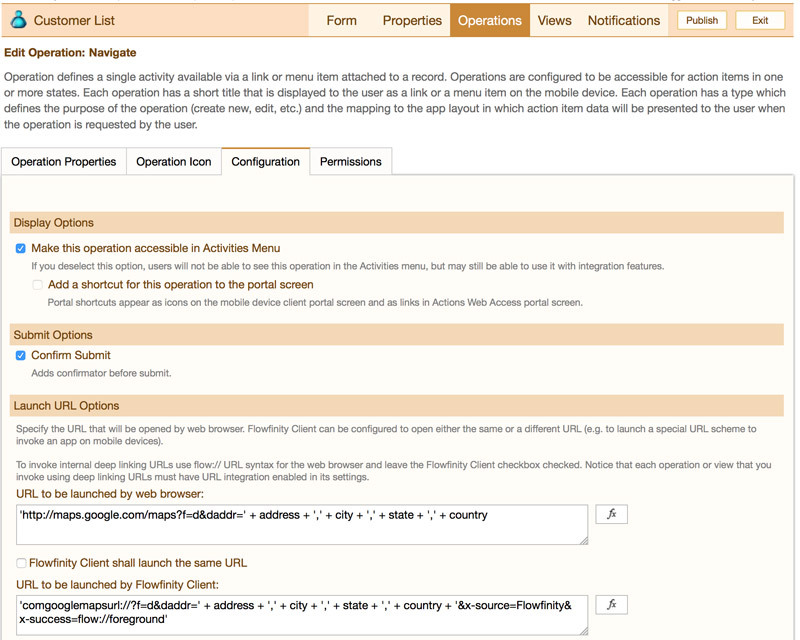 You can configure Flowfinity to launch external applications when users perform operations. Data from existing records can be passed into external applications if the application supports it. In addition to passing data to an application, the external application can also pass data back to Flowfinity. Google Maps can be used to provide navigation capabilities to addresses stored within Flowfinity. 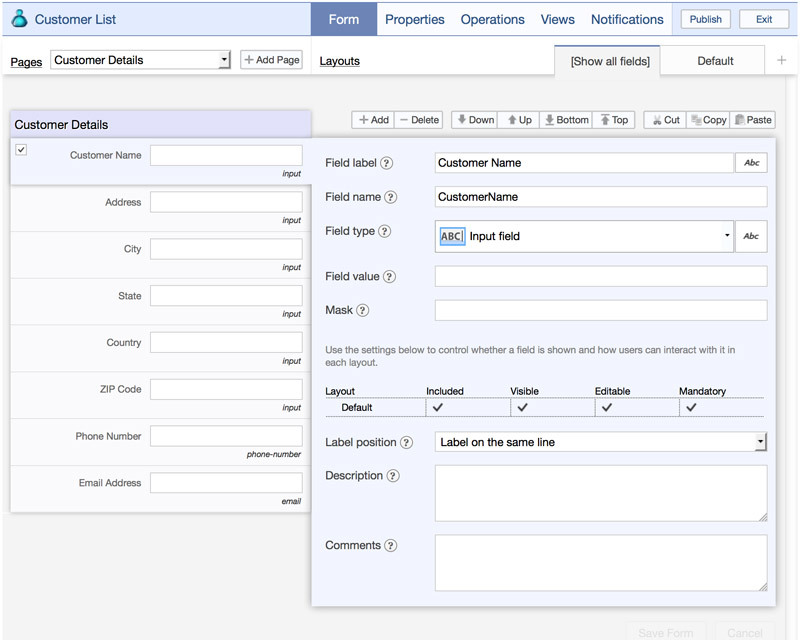 The user can select a record with an address, and indicate that they would like to navigate to the address. 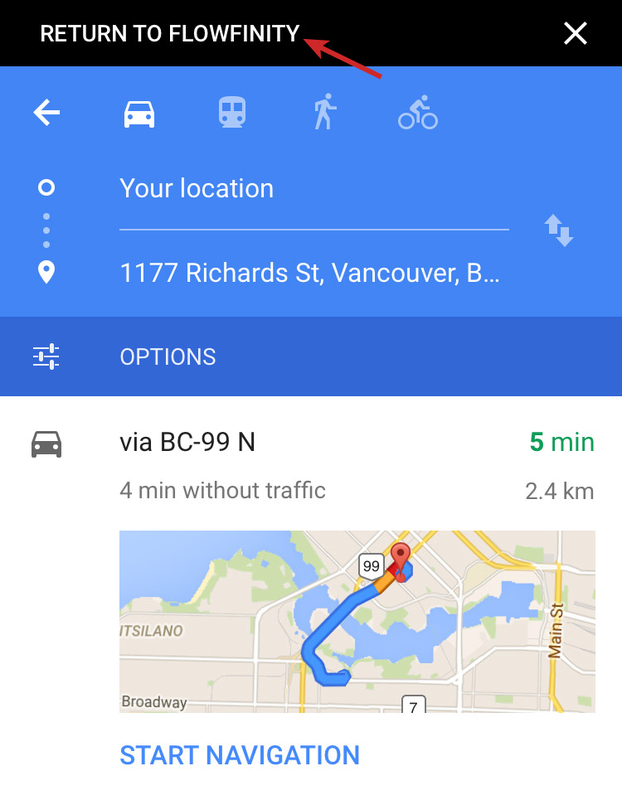 Google Maps provides a way to allow the user to return to Flowfinity. Check the 'flow://' checkbox and click the 'Apply' link. 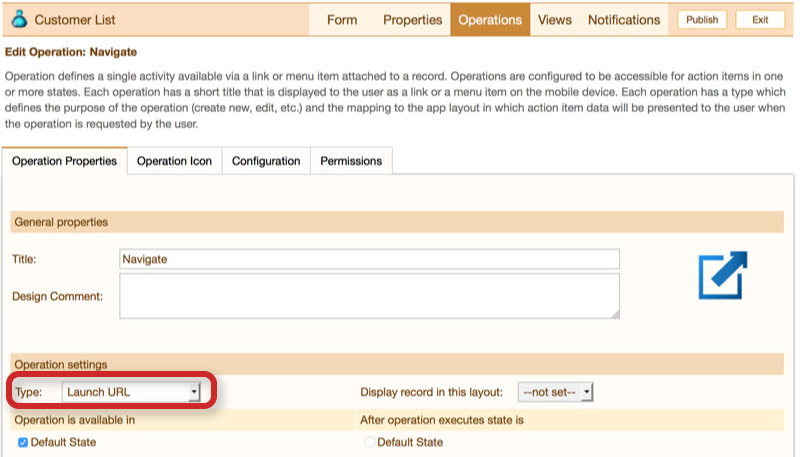 This step is necessary for the return URL (flow://foreground) to work.